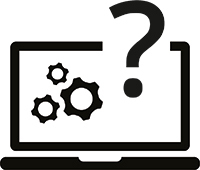 Check our list of frequently asked IT skills questions to see if there is a solution to your problem provided by staff in the Hub. These courses are divided in to bite sized chunks so you can jump straight to the feature you want to learn without going through the whole close. This course is divided in to bite sized chunks so you can jump straight to the feature you want to learn without going through the whole close. Follow University of Southampton guidance on using Office 365.
iSolutions staff provide specific guidance on using Word for formatting a thesis and in using the University Thesis template. Online guidance is available for both PC and Mac. See this guide produced by iSolutions staff for advice and guidance on how to ensure that the PDF version of your thesis meets accessibility criteria. Chat with an expert to solve your EndNote problem. Official EndNote Support - Chat with an expert using the online Chat Box provided on the page. The website also includes a Knowledge Base created by the production team to help you find answers to any problems you have using EndNote. Turnitin For help with using Turnitin see the eLearning support guidance provided by the university. Check your student handbook to see if your academic unit or programme uses electronic submission of assignments. What can I use to help me organise and automatically format my references? There are a number of different referencing tools that you could use to help you organise your references and to automatically add citations and references to your documents. See our advice page for several of the most well-known tools to help you decide which one might work best for you. Where can I borrow a webcam for an interview? If you’re having trouble getting hold of a webcam the Hartley Library provides laptops with a built-in microphone and camera to loan for use in the Library. You can book a library group study room for a quiet space to record your interview. Where can I get advice on EndNote Online? If you are having problems using EndNote Online go to our EndNote Guide for help and advice. It includes a link to the Online Chat help provided by EndNote. Electronic books or ebooks are exact copies of print books. Publishers do not always make e-copies available, but if they do the Library would normally purchase a copy. Most ebooks will allow you to download pages that are particularly important to you. Remember that copyright regulations limit you to print/download one chapter of a book (but some ebook publishers may limit you to a certain number of pages). Bibliographic information is available in the navigation panel - save this for use when referencing. Some ebooks are single-use only, which means that only one person can view at any one time. If you can't get access to the book you want, try again later. If you are still having problems then please let us know. How can I get a picture of something on my computer screen? There are various screen capture applications available. Windows includes the ‘Snipping Tool’ which easy to use and will allow you to take and save an image of the whole or a portion of the screen. Where can I store the data for my Thesis? For advice on storing the data associated with you thesis see the advice on the storing your data section of our Research Data Management guide. The workstation rooms in the Library are all full and the loanable laptops are all in use – I need to use a computer where else can I go? Laptop and gears icon image by D. Line/Shutterstock. Image ID:304517573. Image edited by University of Southampton Library.